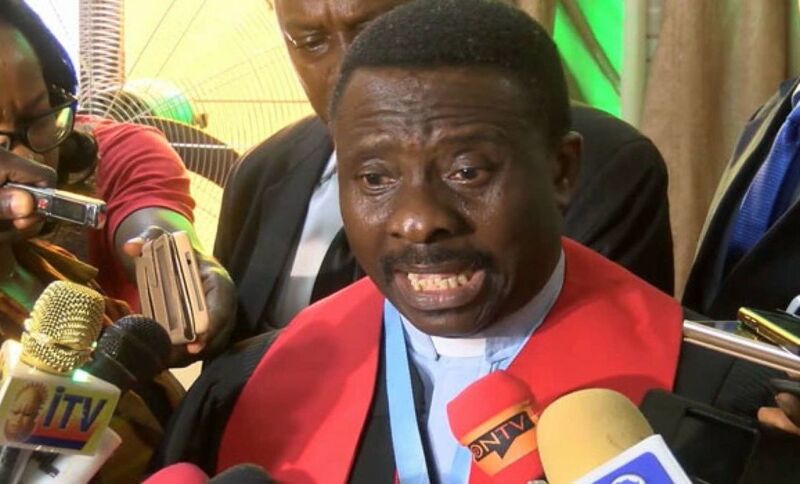 The leadership of the Christian Association of Nigeria (CAN) has declared July 9 to July 11, as national days of prayers and fasting, against what it described as unwarranted killings across the country. CAN appealed to well-meaning Nigerians, within and outside the country, to join Christians on July 11, on peaceful protest against the incessant killings across the country. The association, in a statement issued by the Special Assistant, (Media and Communications) to the CAN president, Pastor Adebayo Oladeji, in Abuja, yesterday, said its decision was hinged on “persistent killings of fellow citizens in general and Christians in particular, nationwide, and mostly in Plateau and Benue states, where mass burial has become the norm; without any positive response from the country’s security agencies. “CAN is worried, disturbed and disappointed that despite all the clarion calls on President Muhammadu Buhari, to re-organise his security team, by replacing all the security chiefs, he has consistently turned deaf ears to such calls. From all indications, the president seems to be satisfied with their poor performance and the attendant problems that have led to avoidable loss of lives and property. We call on all Christians in the country and in the Diaspora to participate in the three-day prayers and fasting programme for God to end all the senseless, unwarranted, and selected killings in the country. If the government has failed us, we are very sure that our God will never fail. All National Executive Committee members of CAN, the Church and denominational leaders have been invited to participate in a peaceful protest march to the National Assembly and the State House (Aso Rock); to impress on government to see the need to effectively stop the unprecedented killings. “CAN has also directed its leadership at the state and local government levels to organise the same peaceful protest march to the Government House and the local government headquarters, respectively, on July 11. We are to tell the government; Enough is enough! We appeal to our members to be law-abiding before, during and after the protest. “Meanwhile, we express our disappointment to the ungodly and unlawful counsel of the Presidency, for people living under the threat of the Fulani herdsmen to give away their land or face death. This position is reprehensible, satanic, wicked and it shows how serious the government is to the protection of lives and property of the citizens. Meanwhile, Plateau Governor, Simon Lalong, has banned public processions in all parts of the state, as a measure to strengthen security of lives and property in the state. Lalong, in a statement, signed by his Commissioner for Information and Communication, Yakubu Dating, advised the public to adhere strictly to the ban. “This is to prevent miscreants and unpatriotic elements from hijacking any protest to further inflict pain and hardship on innocent citizens. “The ban will enable government take stock of the security situation in the state. “Government appreciates the democratic right of citizens to protest but it also has a duty to ensure nothing negatively affect them. Either you fight or you die- only the Sword decides in this final conquest of the Liberation Revolutionary Warfare of the natives under the natives Disintegrated Republics- Biafra Republic of south east, Niger Delta Republic of south south, Oduduwa Republic of south west, North East Republic, North West Republic, North Central Republic. CAN prayers are in vain, so do their empty noise making nickname rally, is in vain. It is Revolutionary Militant Groups- RMG etc. formation which its members are the new military, police etc. under the natives Disintegrated Republics. The war front is Sokoto- the last bastion of fulani fraudulent criminal sultanate political government with its emirates under the dead fraudulent political name Nigeria with their brainwashed terrorism mercenaries nickname military, police etc. controlled by British bandits and fraudulent criminal America with their fraudulent criminal UN of 20th century world international order. Slaughter the last enemy in Sokoto. Slaughter the last enemy’s brainwashed terrorism mercenaries nickname military, police etc. in Sokoto. Slaughter the criminal tout nickname sultan in Sokoto, burn down his palace etc. God given Victory is the natives. Only the Sword decides. God Is With Us!! !